Description: About 1/2 inch long. They are slim and brown with two dark marks on the back of the head. 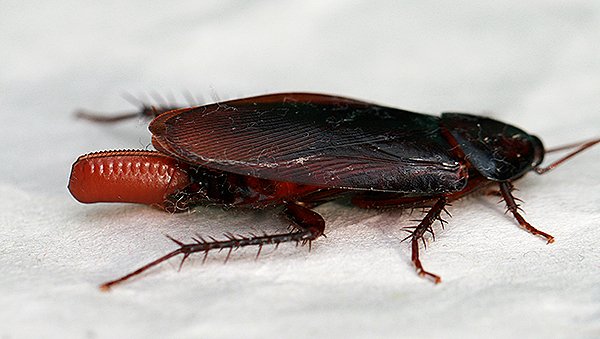 Usually found in kitchens and bathroom areas first, but will infest in cabinets, walls, food, furniture, electronic appliances, etc. Treatment: Bug-A-Boo uses a spray and a baiting gel that is applied in all cracks and crevices in all rooms – even in infested items. The spray does not harm anything. We treat all rooms and basements. Gel does not “run” roaches next door. In apartments, we will need to do all units to avoid re-infestation of units. - Occupants and pets do not need to leave. - Do not need to remove any food or furniture. 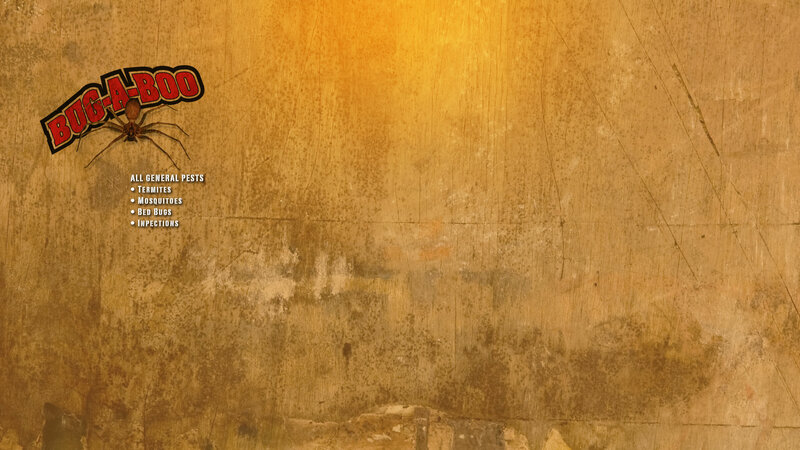 - Is applied to inaccessible areas from children. - If service applied in food handling establishment, all food must be covered and put away. Description: Adults are about 1/2 inch to 2 inches long. Very black and shiny. Usually adults are 1/2 inch wide and are found in any area of the home. They live in dark, damp areas, such as basements, crawl spaces, under porches, and like to follow water pipes into homes or through baseboards. They will not infest cabinets and food like german roaches, but do like to eat about anything. They are nocturnal, so they come out mostly at night. Treatment: Bug-A-Boo uses an orderless chemical spray, which is applied to baseboards, water pipes under sinks, basements and outside the perimeter of the home. - Occupants do not need to leave the residence. - As a precaution, pets and small children should be outside during treatment. - Fish, birds or reptiles need to be covered. - Treatment chemicals have no order. - Chemicals do not stain carpets. Precautions: If needing treatment in food handling establishments, like a restaurant, bakery, meet market, etc., a treatment time must be scheduled when food is not being prepared. 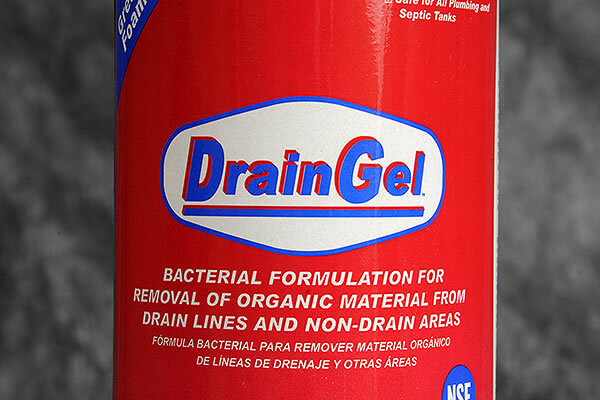 DrainGel™ is a highly concentrated bacterial gel that actually digests grease buildup that accumulates over time in commercial accounts.